Founded in August 2009, Richard Bosman’s Quality Cured Meats is a small factory committed to producing excellent cured meats using traditional methods. 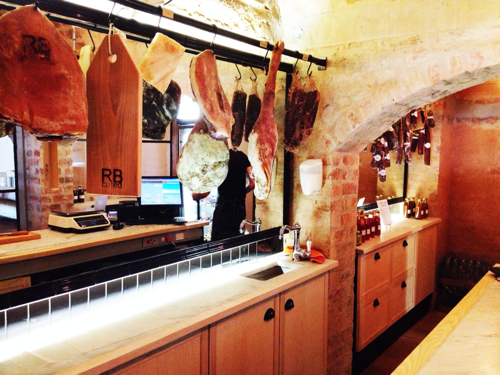 After 5 successful years running the Deli in Hermanus, owner Richard Bosman decided to set up a factory to produce Italian and Spanish style cured meats. With input from fleischmeister Walter Haller, the factory uses traditional salting and drying techniques to create something special and unique. The two most important ingredients in the process are the pork and time. 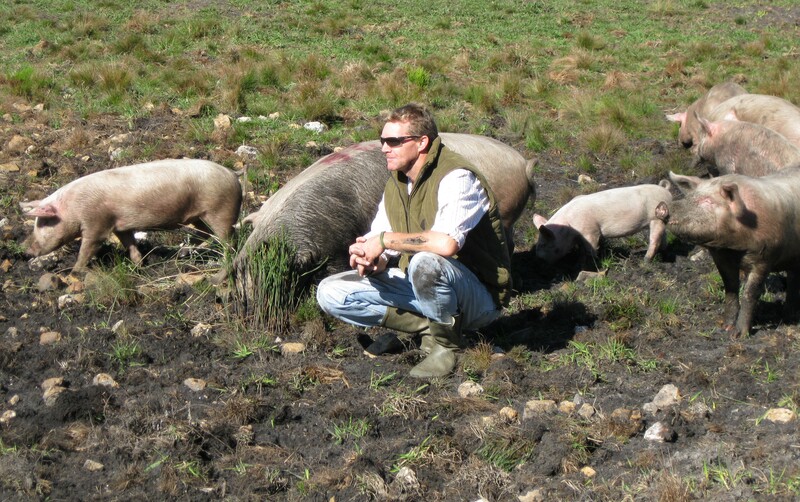 The company has developed a special relationship with pig farmers in the Western Cape in order to supply us with top quality ethically reared pigs. They are given no antibiotics, steroids or growth hormones. Due to their active lifestyle the quality and flavour of the meat is superior however this does require a significantly longer breeding time. Production using these pigs started in August 2010. Once the pigs are slaughtered they are brought to the factory and are processed within 24 hours. Our philosophy is to do as little as possible to the meat and rather to rely on the quality of the raw material and let time do the rest. The meat first goes into our salting room to be salted by hand. Depending on the product, the meat will remain here for anything from 7 days to one month. After salting the meat is hung up in our drying room and will cure for 2 – 12 months depending on the product. The temperature and humidity are controlled at all times to ensure the best results as well as consistency of the product. All our salamis are made using natural casings and none of them contain GDLs. Once the product is cured the product is sliced or packed depending on the customers requirements. Some of our customers include : Mellissas, Wellness Warehouse, Zevenwacht, Jacksons Real Food Market, Societi Bistro, The Food Barn, Spier, Warwick, Bacon on Bree, L’Epis D’Ore, Organic Zone, Massimos, The Mount Nelson, Bertus Basson, Delaire Graff, Marrow, Tables at Nitida, Cheese Gourmet, Publik, UCook, Pig a Deli, Jasmyn Farmstall, Ben Swart Slaghuis, Selected Checkers, Selected Spars and don’t forget our own shop at The Spice Route. Products can be supplied whole or sliced and vacuumed depending on requirements. I thought you might want to see this Richard? Hi Richard! Hope you’re well! Do you have an email address I can contact you on? 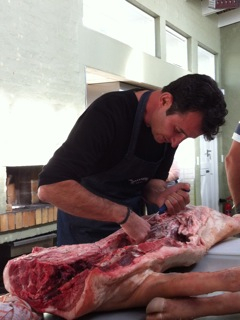 I’d like to get the contact of your pig farmer in Hemel en Aarde for next weekend story-hunting! hi there, a friend of mine, just a hadeda (aha! deda), recommended I contact you. I believe you need assistance during the good food and wine show in jozi. Someone that recognises the talent of flat stanley AND that makes yummy things, is definately a friend of mine! if you need to contact me, please do so by e-mail: sariesitkamer@gmail.com. We are opening a wine tasting room and offering light lunches close to Groot Bos! Please could you email me a wholesale price list of your cured meat. Thank you Herr Walt. Could not have done it without your help. We must work on a new sausage soon. Hi there. Please can you tell me about the beef used for the Bresaola? We use silverside and topside. The beef is grass fed.